Matthew Williamson is world-renowned for his highly recognisable signature aesthetic. A master of print, embellishment and kaleidoscopic colour, his collections encapsulate a bohemian spirit and a laid-back sense of glamour. 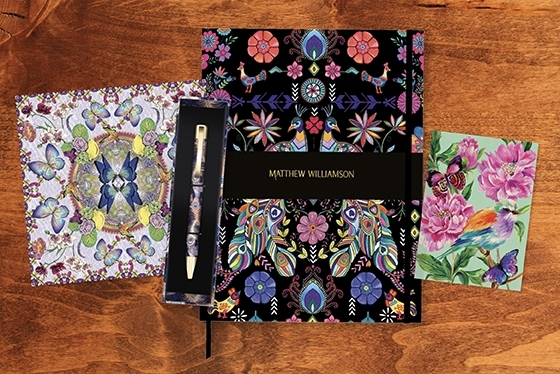 The Matthew Williamson greetings card and gift stationery range from Museums & Galleries is a celebration of this unique British fashion and lifestyle brand, featuring classic archive prints alongside latest brand patterns. To see the full range of our branded products please click on the following link, Matthew Williamson Products.